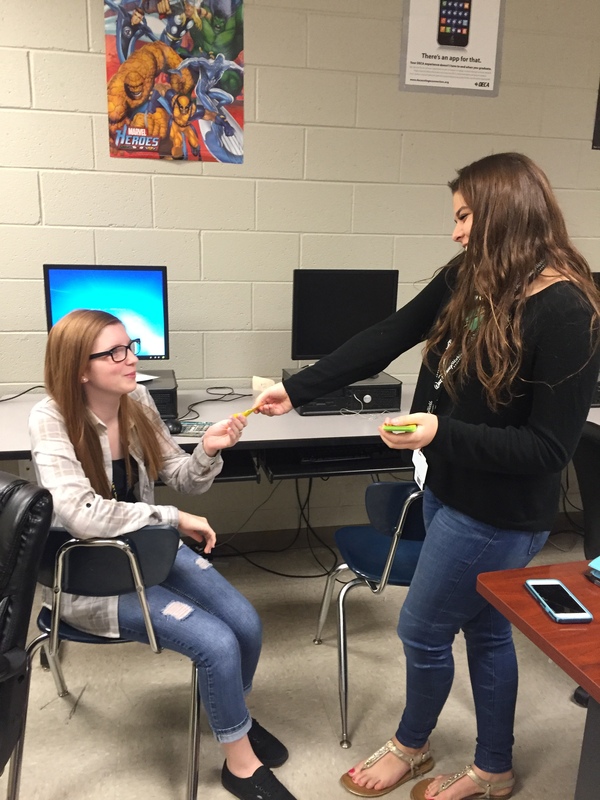 The banker gives business owners their daily paycheck. 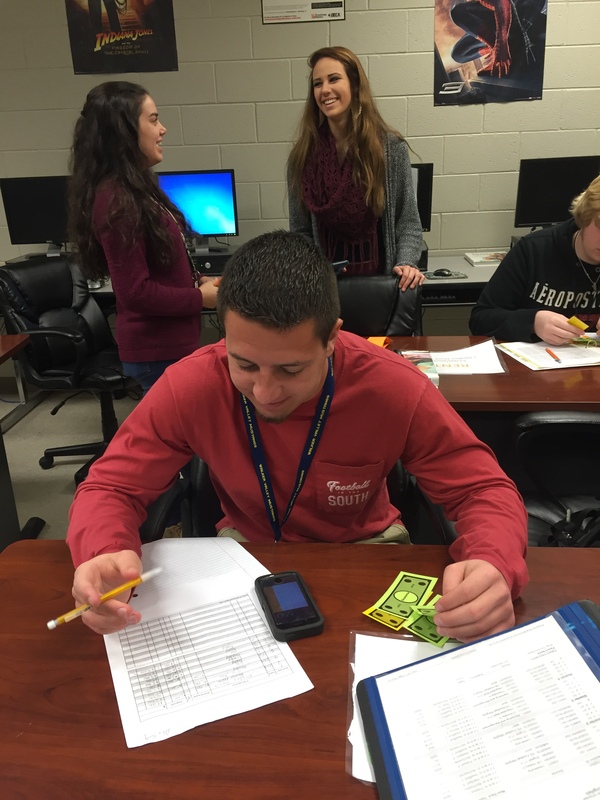 WVHS students in the Marketing 1 class are learning and practicing economic concepts through a simulation. 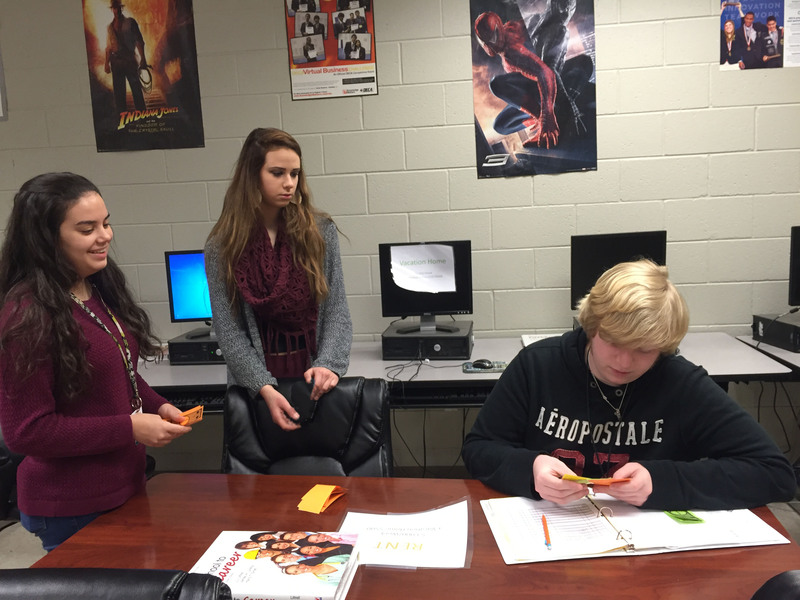 Students take on the role of entrepreneurs and receive play money representing a daily pay check for attendance. Students were required to write a business cover letter to apply to open specific businesses for additional income. These businesses range from a bank, property management, motivational writer, sanitation, law & concierge services. Students also pay rent each week for their desk which represents the location of their business. Chairs are also rented for the week which represent company cars. Rates for each vary based on supply and demand. In addition, students deal with concepts like rising interest rates, conflict management, business mergers, and impacts of natural disasters throughout the simulation. The property manager calculates and records rental transactions each week. An entrepreneur is seen here analyzing his cash flow.